Back with one more interesting post. Today I am going to introduce a new brand to my readers and the USP of this brand is , it’s products are all natural and herbal and are free of harmful chemicals & toxins. 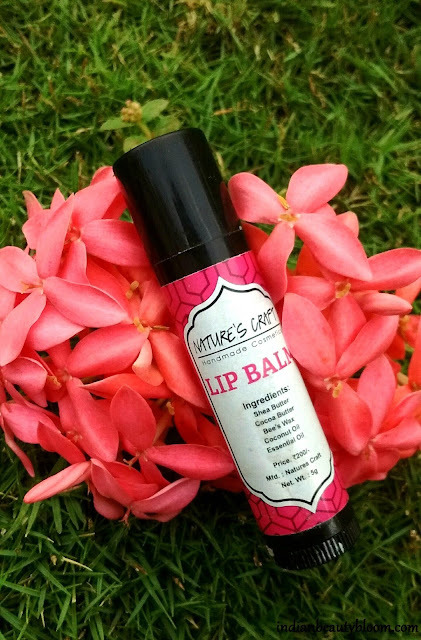 I am talking of Nature’s Craft , a Bangalore based brand which prepares handmade cosmetics , skin care and hair care products. Recently I got a chance to try some of its products . 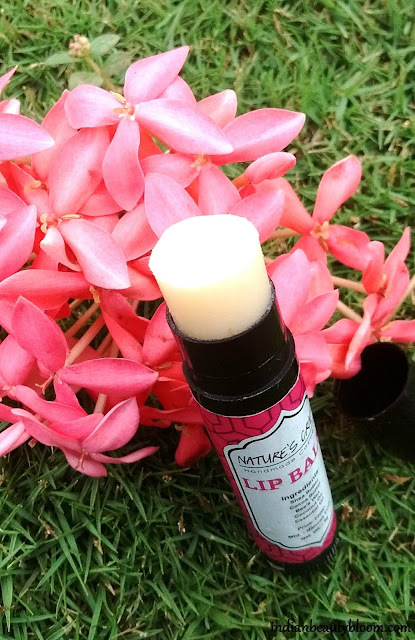 Today I will share review of its Lip Balm. The lip balm is white in color with a nice mild vanilla fragrance . Product packaging is good , its in a stick form so easy to apply and also hygienic. 1. All natural ingredients and no harmful chemicals or toxins present. all of which are good for skin. 3. 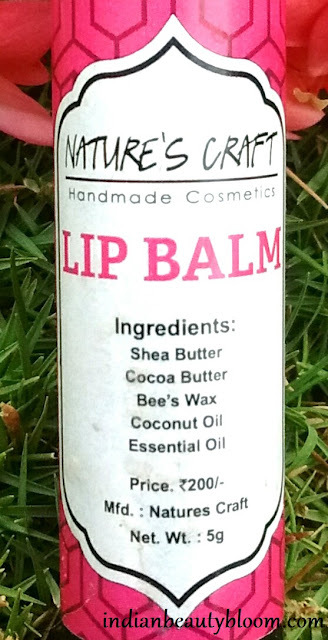 Free of harmful Petroleum Jelly which is present in many lip balms. 4. Excellent product Packaging , which is hygienic too. I am using this Lip Balm these days. It’s a good one. I like it’s vanilla fragrance. It completely moisturizes the lips and prevents drying & chapping of lips. The product also claims that it prevents darkening of lips. Since I have not used this products for a long period of time , cannot say anything regarding this right now , can update after using this for some more time . Otherwise this seems to be a good product for people loving natural products. Do share your views on this post.